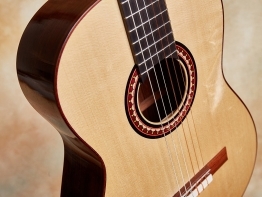 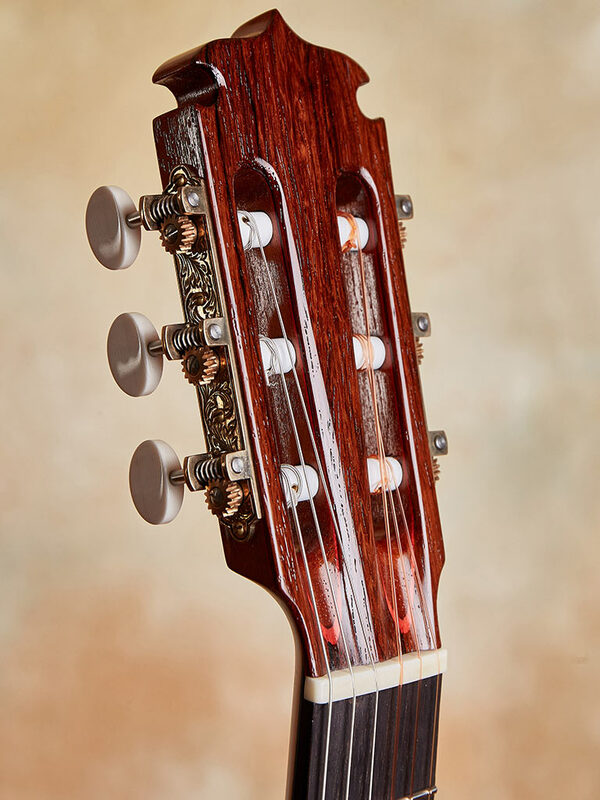 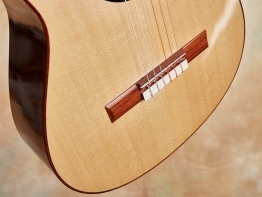 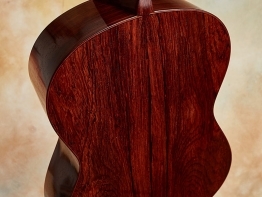 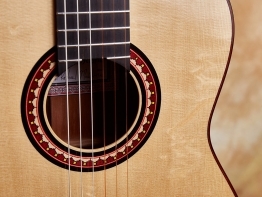 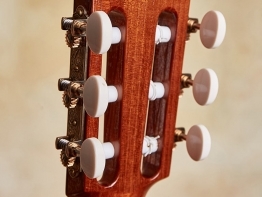 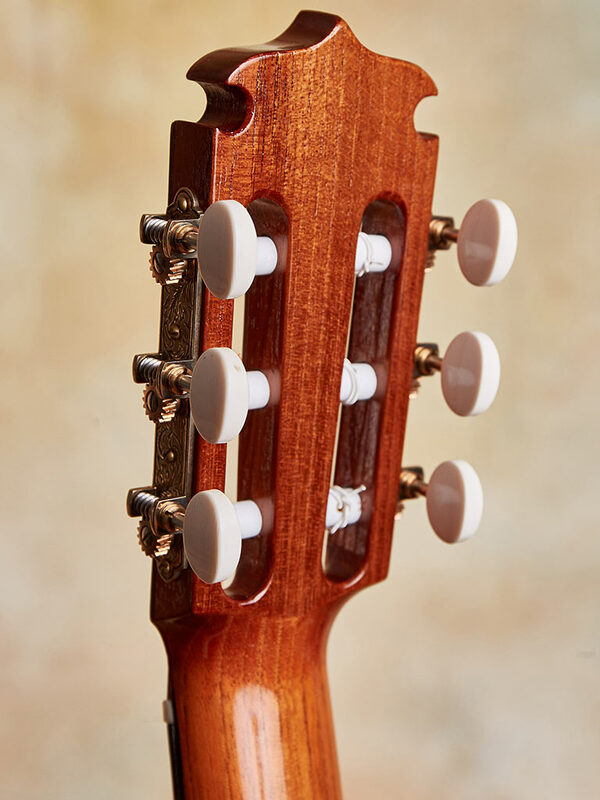 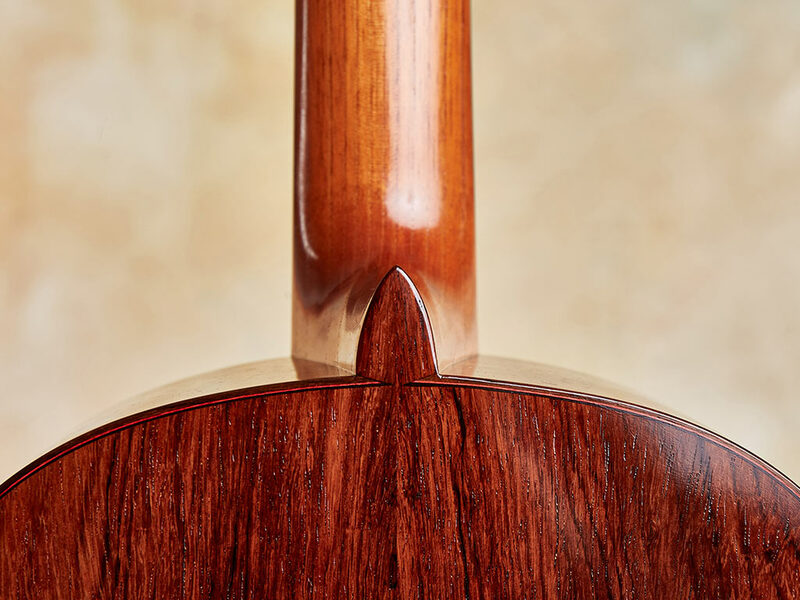 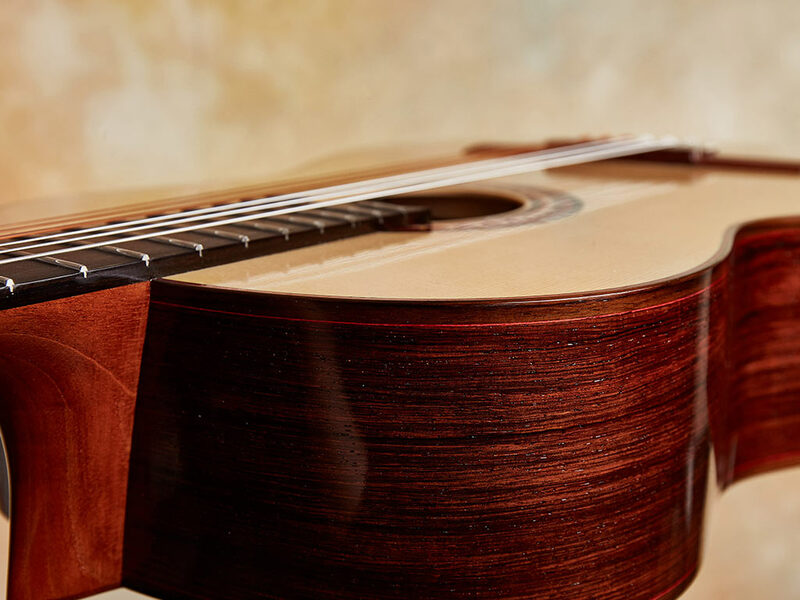 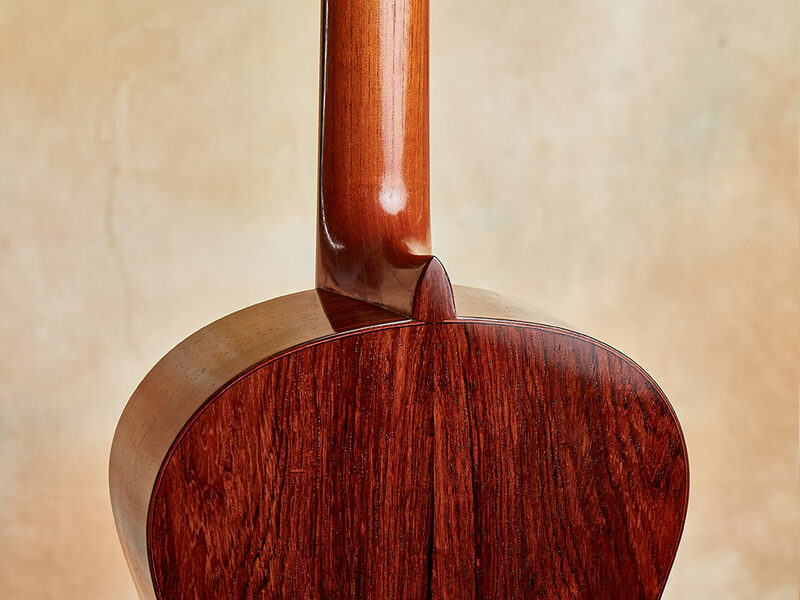 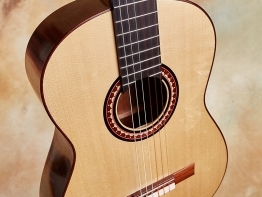 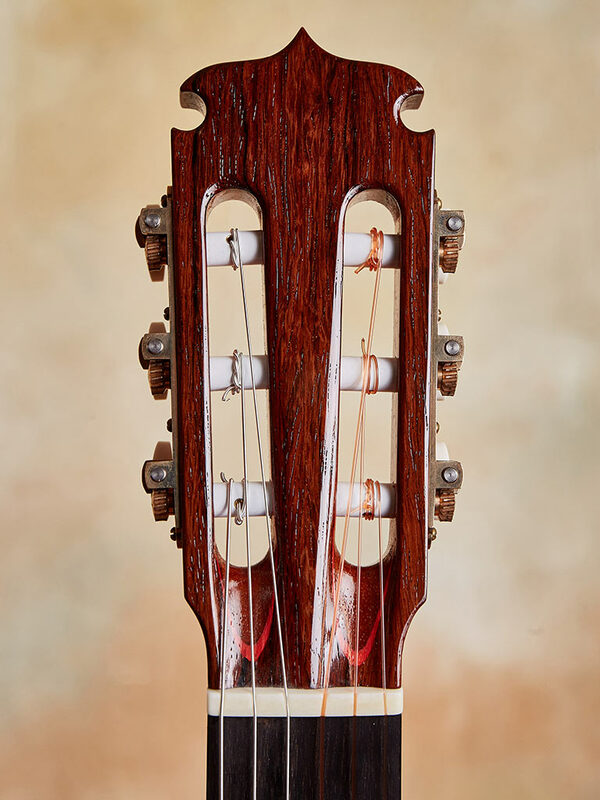 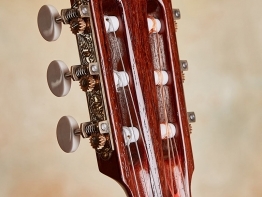 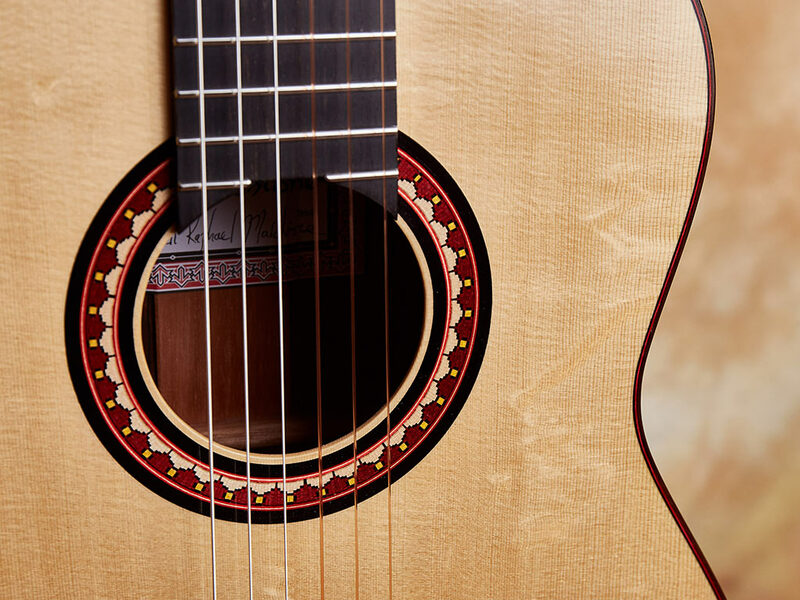 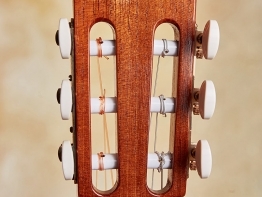 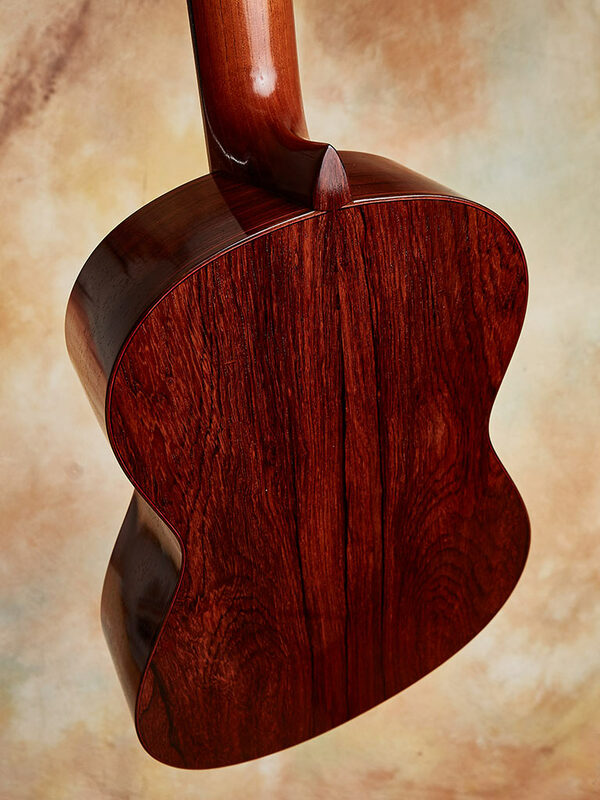 For my Classical guitars I use original designs based on historic models that I feel are successful, utilizing standard dimensions that musicians are comfortable with and understand. 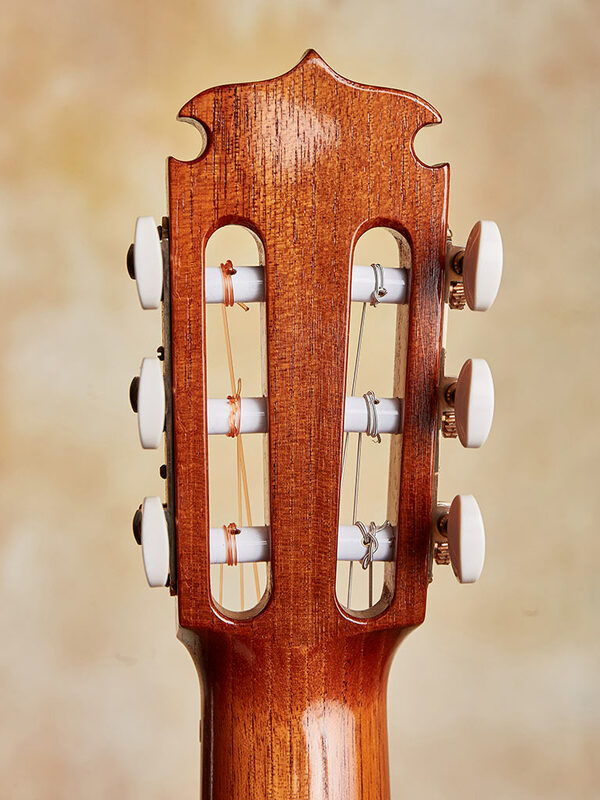 I’ve taken these parameters and crafted a historically rooted yet modern and satisfying instrument. 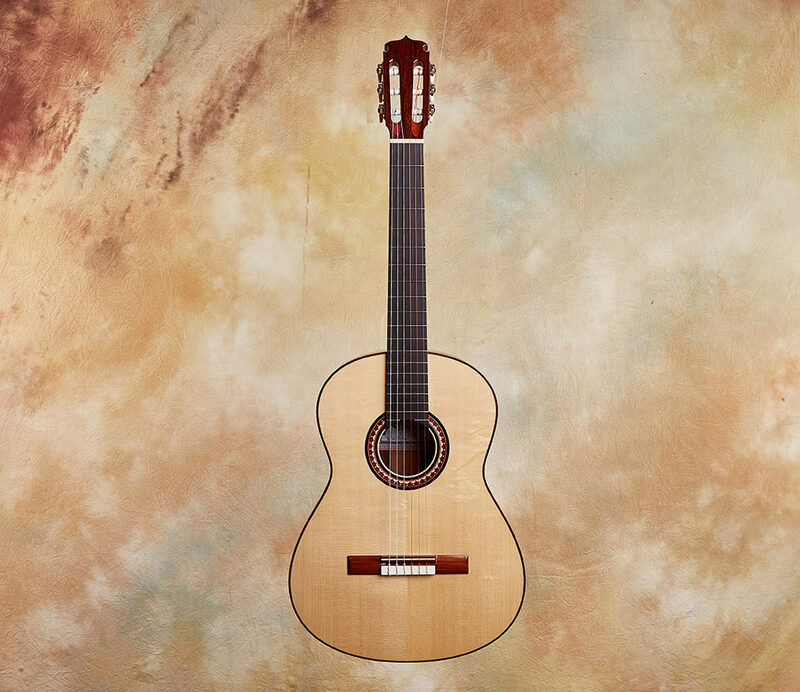 After all, the musician is the one who creates their art with the guitar that I make. 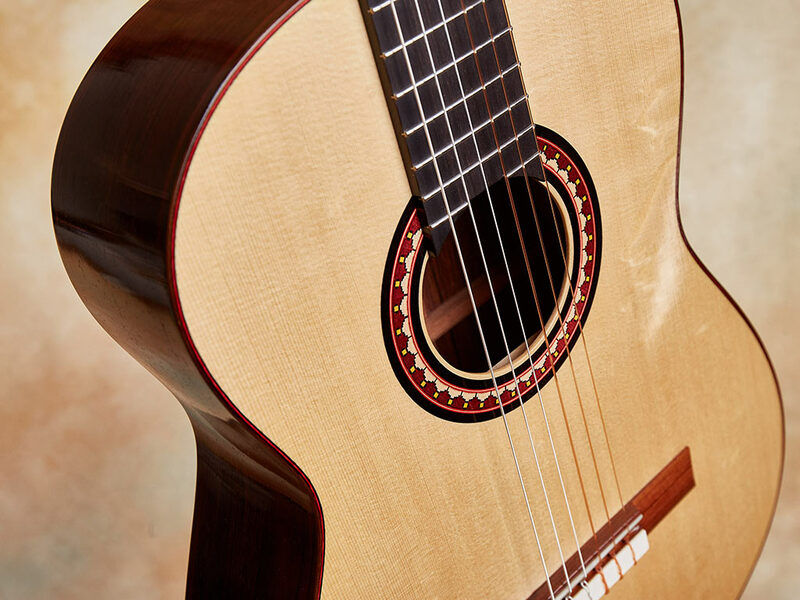 I want your experience to be as seamless and expressive as possible and feel as if the guitar is part of you. 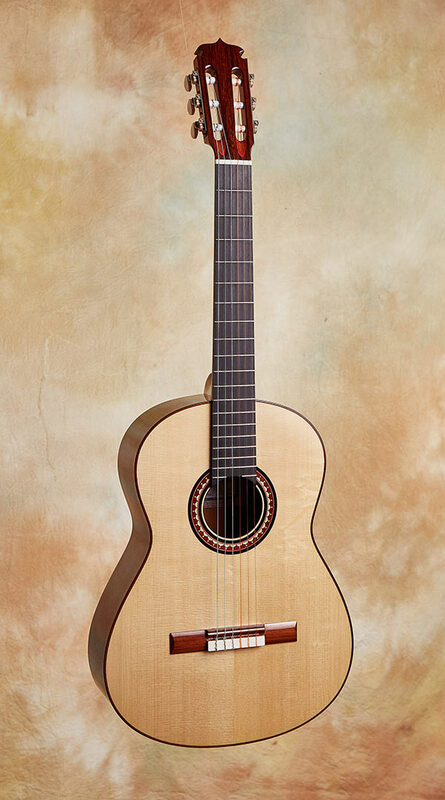 For me, this is a powerful and seductive musical instrument that inspires creativity and a desire to sing with the guitar. 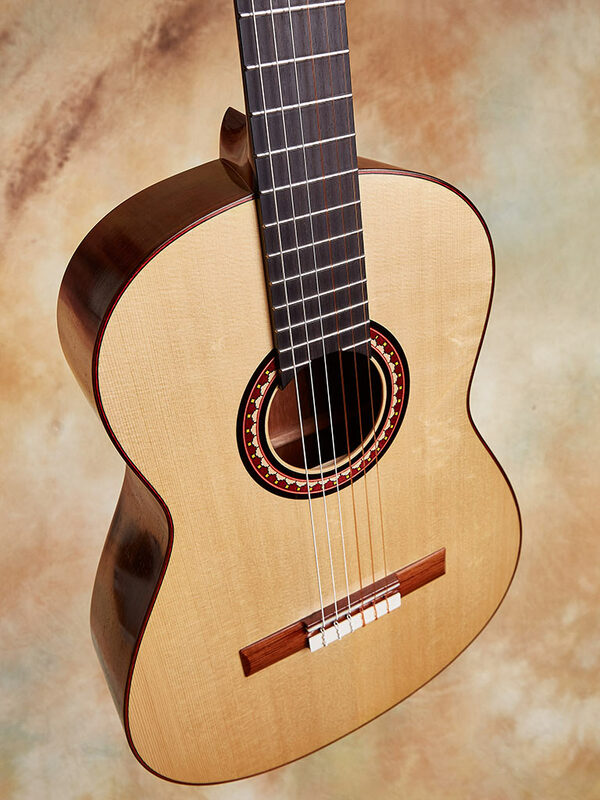 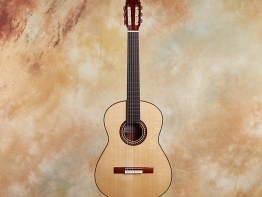 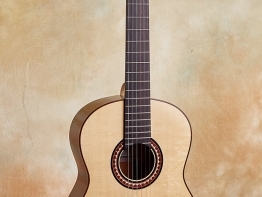 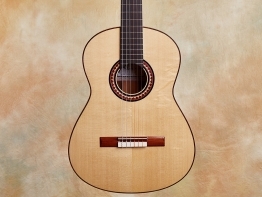 My Classical design combines the ease of playability and tonal accuracy of a Gilbert guitar, the warmth and richness of tone of a Fleta, and the power and projection of a Rodriguez Jr. guitar from the 1970s. 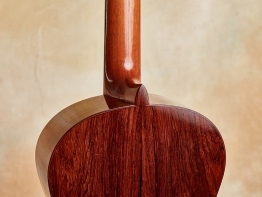 I only use Hot Hide Glue in construction, and I Hand Plane all surfaces prior to glue-up. 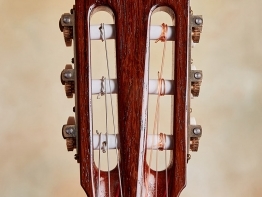 My classical guitars are French polished and the setup will astound you. 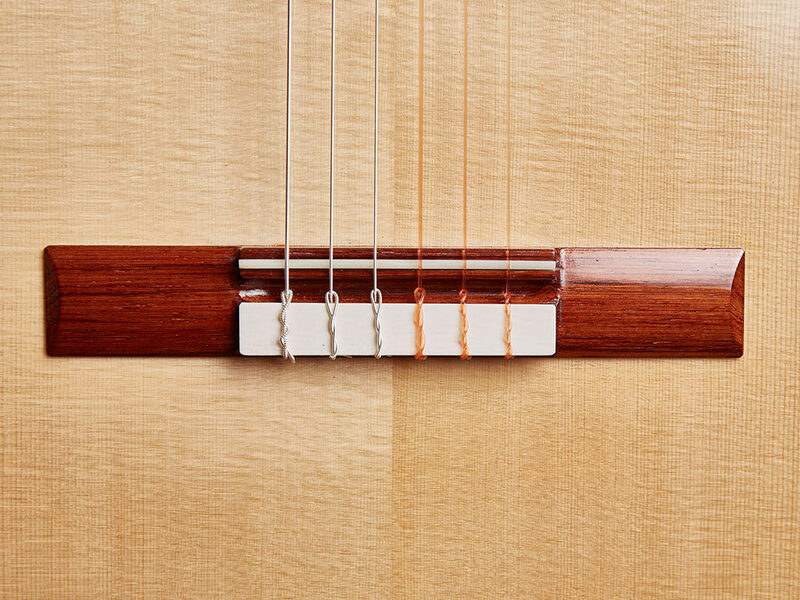 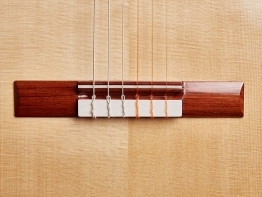 I also want to mention that my good friend and renowned violinmaker Guy Rabut gave me Classical Guitar top wood in Cedar and Spruce. 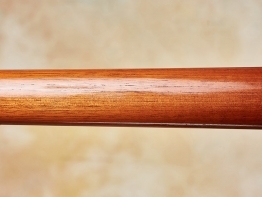 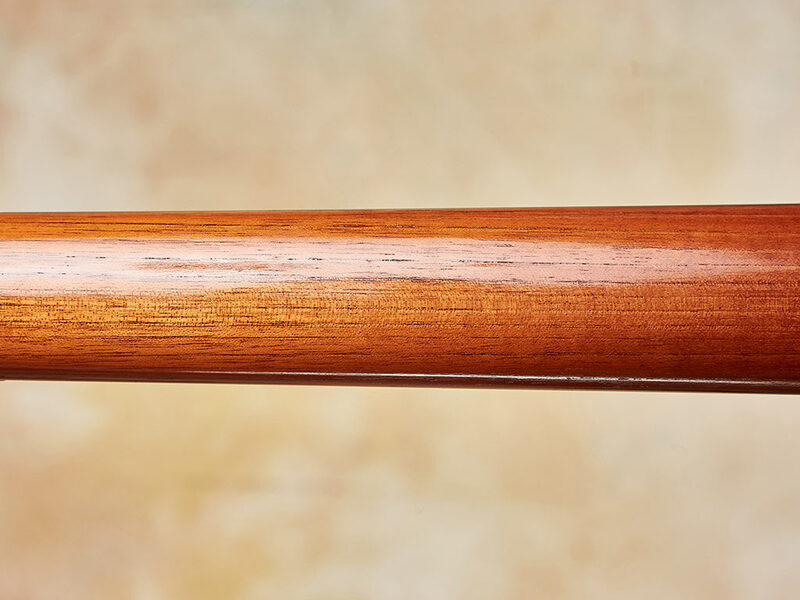 Guy purchased this wood while in Violin School in the early 1970s and then never used it as he has only made bowed instruments. 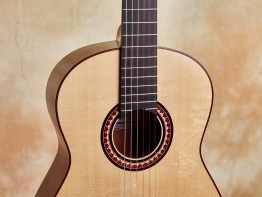 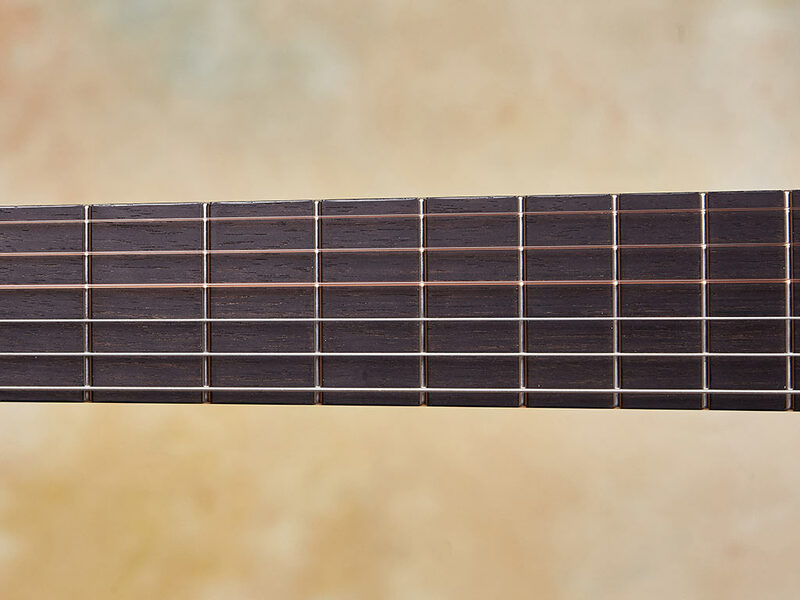 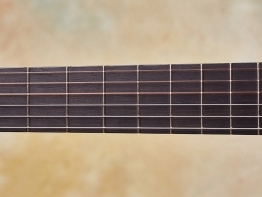 He gave it all to me in the late 90s and it’s my foundation to a great Classical Guitar build. 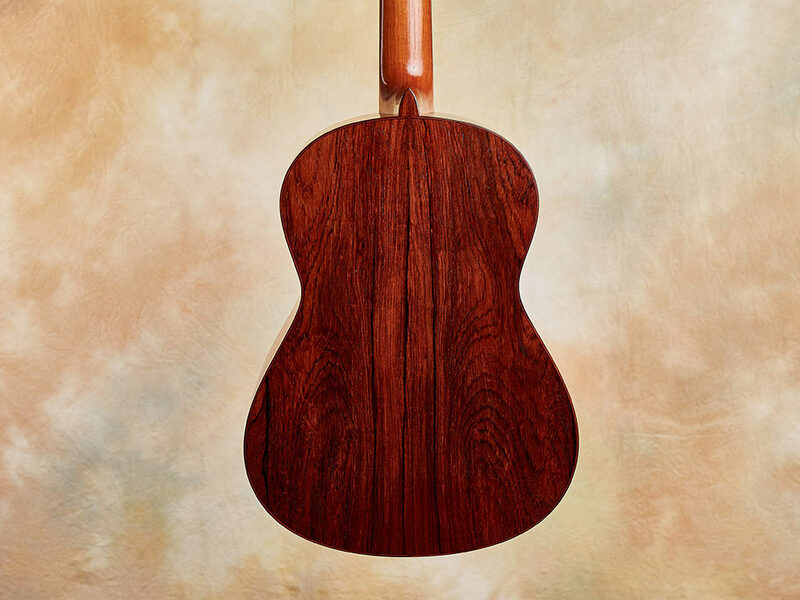 I feel fortunate that I can offer my customers such rare and properly aged tonewoods.